From Ancient Times, the Church has observed "Rogation Days" that is, the Monday, Tuesday, and Wednesday between Rogate Sunday and Ascension Day. These are typically days of fasting and repentance in preparation for our Lord departing from His earthly ministry and entrusting The Gospel and The Sacraments to His Apostles. 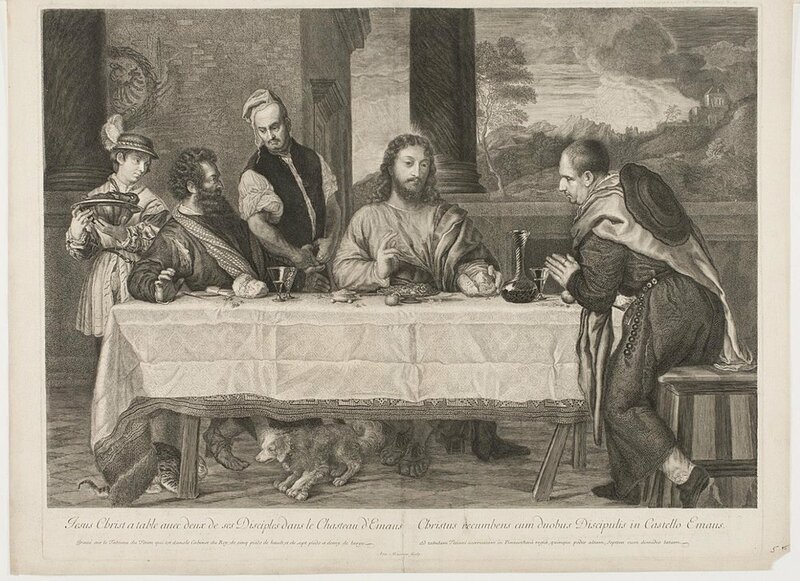 A suggestion for a Lutheran approach to fasting during Rogationtide may be found here. It is appropriate, during any time of fasting and repentance to abstain from lavish entertainment, to devote more time to prayer, and to give alms to the orphans, widows, and foreigners. The supplements for Tuesday and Wednesday replace the noted antiphons as well as the end of the Litany. The following Litany, Prayers, and readings are provided here without pointing for private or family use. They can be said on all three days and should be led by the head of the household. The readings are appointed for Divine Service in Rogationtide but they can, of course, be a part of personal devotion apart from the Sacrament of the Altar. God, the Redeemer of the world, have mercy on us. From Thy wrath, deliver us, O Lord. From sudden and provided death, deliver us, O Lord. From the snare of the devil, deliver us, O Lord. From anger, hatred, and all ill will, deliver us, O Lord. From all lewdness, deliver us, O Lord. From lightning and tempest, deliver us, O Lord. From the scourge of earthquakes, deliver us, O Lord. From the plague, famine, and war, deliver us, O Lord. From everlasting death, deliver us, O Lord. By the mystery of Thy holy incarnation, deliver us, O Lord. By Thy coming, deliver us, O Lord. By Thy birth, deliver us, O Lord. By Thy baptism and holy fasting, deliver us, O Lord. By Thy cross and passion, deliver us, O Lord. By Thy holy resurrection, deliver us, O Lord. By Thy wondrous ascension, deliver us, O Lord. By the coming of the Holy Spirit, the Advocate, deliver us, O Lord. That Thou wouldst spare us, we beseech Thee to hear us. That Thou wouldst bring us to true penance, we beseech Thee to hear us. That Thou wouldst govern and preserve Thy holy Church, we beseech Thee to hear us. Lord, have mercy. Christ have mercy. Lord have mercy. Amen. For the waters have come up | to my neck. and the flood sweeps | over me. with waiting | for my God. must I | now restore? the wrongs I have done are not hid- | den from you. O God of | Israel. that dishonor has covered | my face. an alien to my | mother’s sons. and the reproaches of those who reproach you have fall- | en on me. it became | my reproach. I became a byword | to them. and the drunkards make songs a- | bout me. in the abundance of your steadfast love answer me in your saving | faithfulness. and from the deep | waters. or the pit close its mouth | over me. according to your abundant mercy, | turn to me. make haste to | answer me. ransom me because of my | enemies! my foes are all | known to you. and for comforters, but I | found none. and for my thirst they gave me sour | wine to drink. and when they are at peace, let it be- | come a trap. and make their loins tremble con- | tinually. and let your burning anger over- | take them. let no one dwell | in their tents. and they recount the pain of those you have | wounded. may they have no acquittal | from you. let them not be enrolled among the | righteous. let your salvation, O God, set | me on high! I will magnify him with thanks- | giving. or a bull with | horns and hoofs. you who seek God, let your | hearts revive. and does not despise his own people who are | prisoners. the seas and everything that | moves in them. and those who love his name shall | dwell in it. O God, Whose property is always to have mercy and to spare, receive our petition, that we and all Thy servants who are bound by the chain of sin, may, by the compassion of Thy goodness, mercifully be absolved. Hear, we beseech Thee, O Lord, the prayers of Thy supplicants, and pardon the sins of those who confess to Thee, that, in Thy bounty, Thou may grant us both pardon and peace. In Thy clemency, O Lord, show Thy unspeakable mercy to us, that so Thou may both loose us from all our sins and deliver us from the punishments which we deserve for them. O God, who by sin art offended and pleased when a sinners turns unto Thee, mercifully regard the prayers of Thy people, who make supplication to Thee, and turn away the scourges of Thine anger, which we deserve for our sins. O almighty and eternal God, have mercy on Thy servant (N)., our pastor, and direct him according to Thy clemency, in the way of everlasting salvation, that, by Thy grace, he may desire the things that are pleasing to Thee, and perform them with all his strength. O God, from Whom are all holy desires, righteous counsels, and just works, give to Thy servants that peace which the world cannot give; that, our hearts being disposed to keep Thy commandments, and the fear of enemies taken away, the times, by Thy protection, may be peaceful. Inflame, O Lord, our reins and hearts with the fire of the Holy Spirit; that we may serve Thee with a chaste body, and please Thee with a clean heart. O God, the Creator and Redeemer of all the faithful, give to the souls of Thy servants departed in the faith Thy perpetual light and peace. Direct, we beseech Thee, O Lord, our actions by Thy holy inspirations, and carry them on by Thy gracious assistance; that every prayer and work of ours may always begin from Thee, and through Thee be happily ended. Amen. V. May the almighty and merciful Lord graciously hear us. V. And may the souls of the faithful departed though the mercy of God, rest in peace. And my cry to Him reached His ear, Alle- | luia. The Lord is my rock and my fortress and my de- | liverer. Grant, we beseech Thee, Almìghty God: that we who in all our troubles and adversities do put our trust and confidence in Thy mercy, may ever be defended by Thy mighty pòwer; through Jesus Christ, Thy Son, oùr Lord, who liveth and reigneth with Thee and the Hòly Ghost: ever one God, world without end. Amen. Confess your trespasses to one another, and pray for one another, that you may be healed. The effective, fervent prayer of a righteous man avails much. 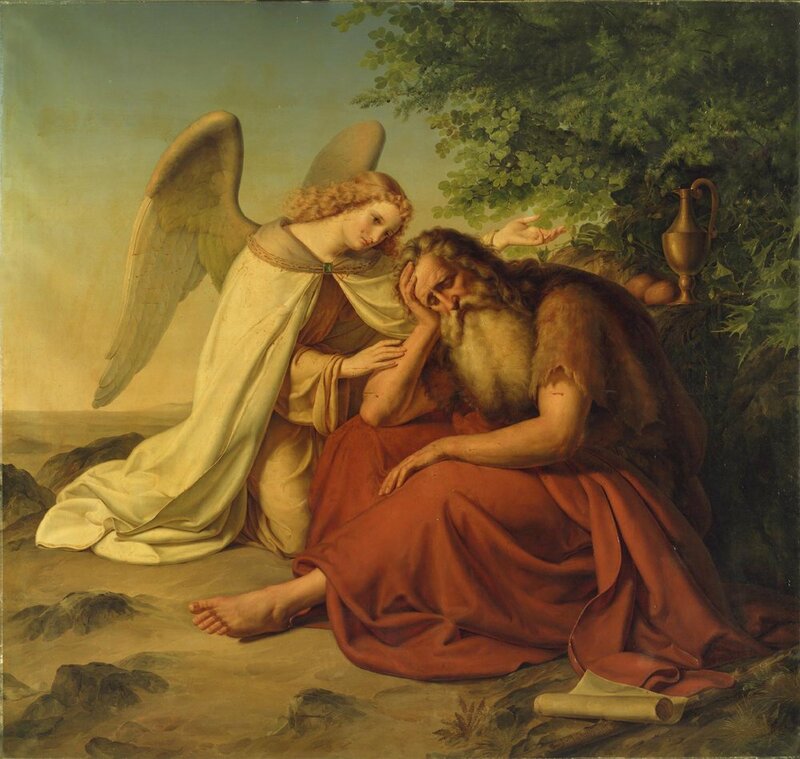 Elijah was a man with a nature like ours, and he prayed earnestly that it would not rain; and it did not rain on the land for three years and six months. And he prayed again, and the heaven gave rain, and the earth produced its fruit. for his steadfast love endures forever! Alleluia.